A large section of the 26-acre lava delta formed by the 61g lava flow collapsed into the ocean around 2:45 p.m. on December 31, 2016. 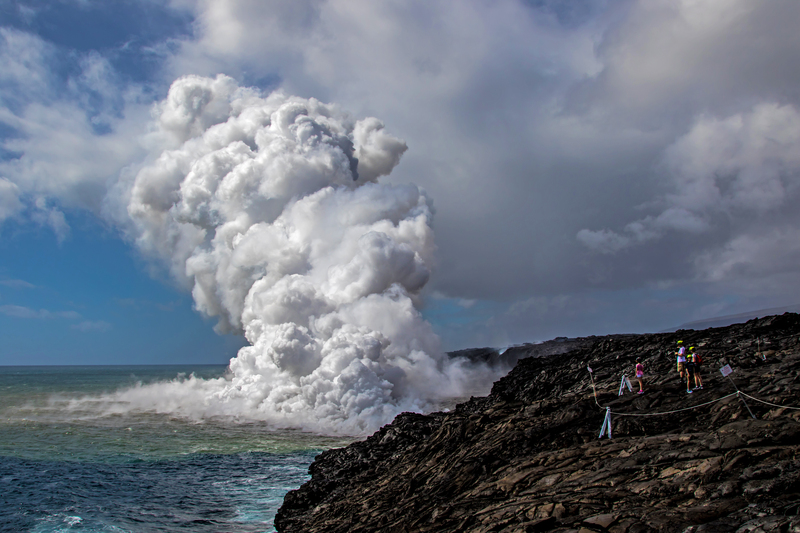 The huge subsidence launched showers of volcanic rock into the air and created a flurry of large waves that eroded away a portion of the older sea cliff and viewing area. 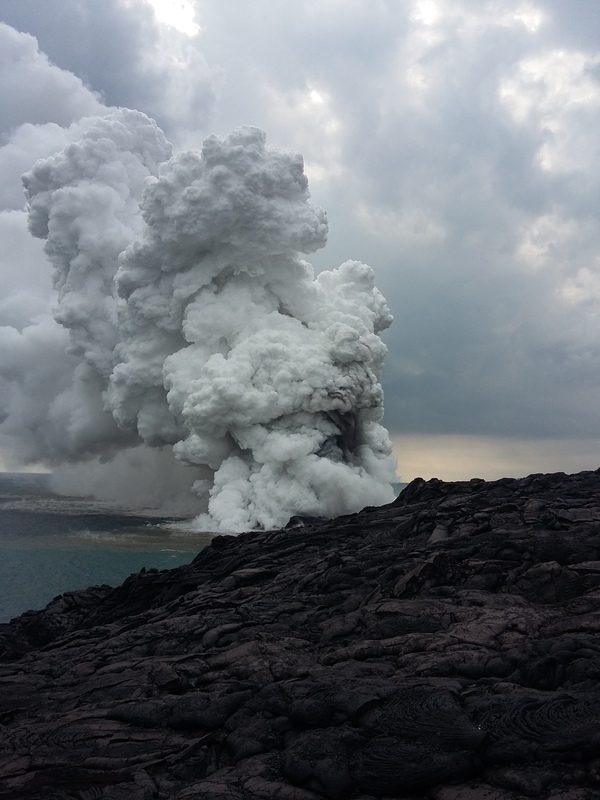 As a result, the Kamokuna ocean entry within Hawai‘i Volcanoes National Park will remain closed until park rangers and USGS Hawaiian Volcano Observatory scientists survey and reopen the area. Rangers on duty New Year’s Day reported that the former viewing area is gone and that loud cracks continue to be heard throughout the unstable area. Although park rangers temporarily closed the Kamokuna lava viewing area, five visitors ducked beneath the white rope closure line and made a beeline for the coastal cliffs around 7 p.m. on New Year’s Eve. Eruption Crew Ranger Travis Delimont and a co-worker had to chase after them before they turned around. Within 15 minutes, the section of cliff where the visitors were standing crashed into the ocean. “It was a really close brush with death for them. 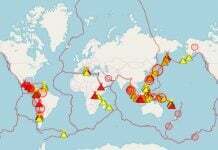 Luckily, they finally listened to us and turned around in time,” Ranger Delimont said. 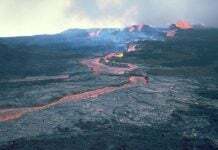 Although park rangers temporarily closed the Kamokuna lava viewing area last night, five visitors ducked beneath the white rope closure line and made a beeline for the coastal cliffs around 7 p.m. on New Year’s Eve. This ended up almost abruptly for the crazy adventurers. 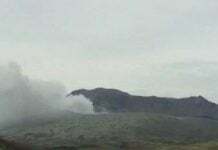 Pictures by Volcanoes National Park photo.